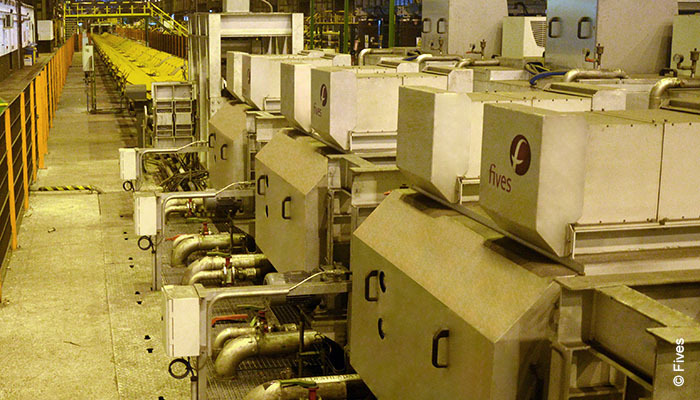 Fives’ solution for long products incorporates a Stein reheat furnace with CELES high-flux inductors for sizable cost & energy savings and improved product quality. 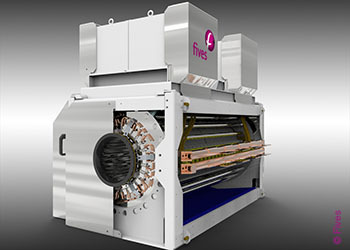 Fives has developed a new hybrid solution combining a gas-fired Stein reheating furnace and a high-flux CELES CELINE inductor. This unique concept enables the billet to be reheated quickly even while the furnace is operated at a lower temperature thanks to the installation of a high-flux inductor at the furnace discharge outlet. Maintenance requirements are minimal due to the absence of refractory and an adequate thermal and mechanical protection. The reheating inductor ensures the billet is heated at a continuous temperature and reduces skid marks, thus improving production quality. Induction reheating provides very rapid heating and allows heat to be generated inside the object itself. Fives’ high-flux magnetic induction technology, CELES CELINE, incorporates high-intensity magnetic fields generated by multilayer coiling. The power is injected into the product at a rate of up to 4 – 6 MW/m2, which is six times greater than the capability of conventional inductors. It enables a perfect heating control over the temperature range. It increases the metallurgical properties of the steel grade and reduces emissions while meeting the quality and performance criteria.